In an open revolt, nine BJP ward commissioners joined hands with five Congress ward commissioners of Jorhat Municipal Board to pass a no confidence motion against the chairman Jayanta Borkakoty. The BJP enjoys a majority in the Jorhat Municipal Board with 12 out of 19 ward commissioner‘s belonging to the BJP. JMB vice chairman Paban Bordoloi with a few others handed over a letter to deputy commissioner Narayan Konwar stating the proceedings of Friday’s Board meeting, the passing of no confidence motion and seeking the removal of Borkakoty from the post of chairman. Babli Dharma, ward commissioner of Ward 18 was the only one to support Borkakoty. The other BJP ward commissioners were absent. A source said that things came to a head in Friday’s meeting of the civic body when the chairman sought 10 days of leave be sanctioned to him. In December he had sought one month’s leave to prove his innocence against allegations of having a liaison with a widow in Ward 11 where he had reportedly been caught red-handed visiting her late at night and had managed to escape by the back door. Borkakoty had denied the allegations which had been published in several newspapers and said that he had not been involved in the incident and therefore wanted one month’s leave to prove that he was not involved. 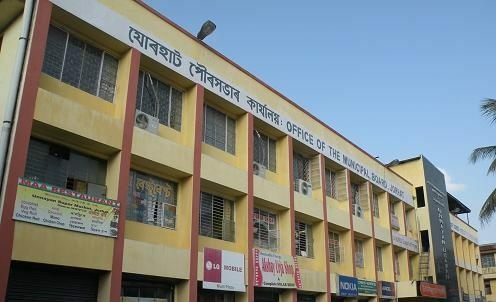 The meeting in December to discuss the handwritten letter by Borkakoty addressed to the executive officer of JMB, a copy of which was given to the deputy chairman, remained inconclusive with the Congress demanding his resignation followed by a walkout and two BJP members demanding a judicial probe followed by a walkout by the duo. The meeting was adjourned without the Board taking any decision on the matter. At that time, the five Congress ward commissioners and two BJP ward commissioners had demanded his resignation and the leave application was not sanctioned. However, Dutta had quit the post on August 3, 2017, after reportedly facing opposition from a section of her party ward commissioners. Though the party had announced Borkakoty’s name to replace Dutta on August 31, 2017, Borkakati could not take charge as nine out of 12 BJP ward commissioners had refused to accept him as chairman. He assumed charge on September 21, 2017 after the party leadership intervened. On November 24, 2017 then JMB vice-chairman Anup Ghosh Dastidar resigned citing personal reasons after which Paban Bordoloi, became the vice-chairman.